Department of Chemistry, Pt. S.N.S. Govt P.G. (Auto) College, Shahdol - 484001, Madhya Pradesh, India. ABSTRACT: In this paper Chromium (VI) based Pyridinium fluoro chromate (PFC) reagent has been used as an oxidant for the determination of some antihistamine drugs e.g. Promethazine hydrochloride (PMH) and Pheniramine maleate (PM) in pure form and their pharmaceutical preparations such as Phenergan (Injection and tablet) and Avil (Tablet and injection) respectively. The main principle of this method is based on the fact, that each pharmaceutical drug contains a specific organic functional group, which on oxidation in the presence of selected oxidant (Here PFC is used as an oxidant) provides the new oxidized product. This type of oxidation reaction between the drug molecule and an oxidant establishes a stoichiometric relationship between the drug molecule and an oxidant. This relationship is the basis of quantitative estimation of drugs in pure form and their pharmaceutical preparations. In this research, oxidizing reagent Pyridinium fluoro chromate (PFC) oxidizes the sulfur atom of Promethazine hydrochloride (PMH) to the corresponding sulphoxide, whereas in case of Pheniramine maleate (PM) it oxides one hydroxyl (-OH) group of carboxylic (-COOH) group to corresponding aldehydic (-CHO) group. Thus an oxidant PFC establishes a 1:1 ratio with both Promethazine hydrochloride (PMH) and Pheniramine maleate (PM) drug. Oxidative determination of these drugs was carried out by adopting the iodometric titration (Visual volumetric) method. The applied technique was very simple, convenient, accurate, precise and economical. To examine the accuracy and precision of results various statistical analysis such as percentage error, standard deviation (SD) and coefficient of variation (CV) was also calculated for each sample. The proposed method was validated by recovery analysis, by drug addition method. INTRODUCTION: An antihistamine 1-4 is a kind of drug that is used to neutralize the effects of histamine, or inhibits its production in the body. Antihistamines do not stop the allergic reactions but protect tissues of the body from some of its effects. Histamine is generally present in rich amounts in the tissues of skin, lungs, liver and also in blood and is responsible for the allergy in the body. Antihistamine drugs are mainly used to cure itching (pruritus), hives (urticaria), hay fever (seasonal allergic rhinitis), insect bites and stings. It is also used to reduce the feeling of sick (nausea) and sick (vomiting) beside this also useful in the treatment of anxiety, bronchial asthma, and in some cases to relax patients before surgery. Here the selected drugs Promethazine hydrochloride (PMH) and Pheniramine maleate (PM) belongs to first-generation antihistamines. The drug Promethazine hydrochloride (PMH) is chemically known as N, N-dimethyl-1 -phenothiazine-10 -ylpropan- 2-amine hydrochloride Fig. 1 and Pheniramine maleate is chemically known as N, N-dimethyl-3-phenyl-3-(2-pyridyl) propylamine hydrogen maleate Fig. 2. Many researchers in their work have employed different oxidants for the determination of different pharmaceutical drugs such as Cu (III) 5-7 has been employed as an oxidant for the determination of antibiotic, antihypertensive and antibiotic, in pure form and their pharmaceutical preparations. Determination of Promethazine hydrochloride, in pharmaceutical drugs, was successfully achieved by using N-bromosaccharin 8 (NBS) as an oxidizing reagent. Similarly, an oxidant N-chlorosuccinimide 9 (NCS) reagent in acidic medium was used for the determination of some antineoplastic drugs. Reagent Pyridinium fluoro chromate 10, 11 (PFC) was used for the determination of Cyproheptadine hydrochloride and Fexofenadine hydrochloride drugs in pure and in their pharmaceutical preparations. Other oxidants like Potassium permanganate 12-14 was used for the assay determination of pharmaceuticals like Pioglitazone hydrochloride in an acidic and basic medium, Diethylcarbamazine citrate and Albendazole in pharmaceutical drugs. Reagent Perchloric acid 15, 16 has been as an oxidant for the determination of lansoprazole in pharmaceutical capsules and isoniazid. Similarly in another experiment, Potassium iodate 17 and Cerium (IV) 18 was employed as an oxidant for estimation of ethionamide in pharmaceutical formulations. Oxidant diperiodatocuprate (III) 19 in an aqueous alkaline medium, has been used to oxidize aspartame. Literature survey revealed that various techniques had been reported, by different researchers, for the determination of Promethazine hydrochloride (PMH) and Pheniramine maleate (PM). Techniques like Spectrophotometric 20-22 and Chromatographic techniques 23, 24 for Promethazine hydrochloride (PMH) whereas Potentiometric titration 25, Spectrophotometric 26 and Chromatographic 27, 28 technique has been employed by different researchers for the determination of Pheniramine maleate (PM) in bulk and its pharmaceutical formulations. Although different researchers have used various chromium (VI) based oxidant but up to till date no any researcher has employed Pyridinium fluorochromate as the oxidant, for the determination of both antihistamines, i.e. Promethazine hydrochloride (PMH) and Pheniramine maleate (PM). Besides this various technique as cited above, have been adopted by various researcher’s for the assay determination of above said antihistamine drugs but all techniques involve sophisticated instruments and have been observed that these instrumental methods are generally not as accurate and precise, as the titrimetry in microanalysis. In this paper, simple, accurate, precise, rapid and cost-effective visual titrimetric technique (Volumetric titration technique) has been described for the assay determination of these drugs in a form pure and in their formulations in the form of tablets and injections. This technique is easily adaptable to pharmaceutical companies for the quality control assessment of these drugs, in their routine quality analysis. Apparatus: Graduated Pipette, Measuring cylinders, Burette, Iodine flask (Stoppered flask), etc. were used to carry out volumetric titration successfully. Materials: Double distilled water and all other chemicals used in the analysis were of analytical reagent grade and was used throughout the experiment. A pure pharmaceutical grade Promethazine hydrochloride (PMH) has been supplied by Akums Drugs and Pharmaceuticals Ltd, 304, Mohan Place, L.S.C., Block-C, Saraswati Vihar, New Delhi, India as gift sample and pure sample of Pheniramine maleate (PM) ) supplied on request, as gift sample by Sanofi India Ltd, Ankleshwar, Distt-Bharuch, Gujarat, India as gift sample whereas for pharmaceutical preparations of Promethazine hydrochloride (PMH), tablet Phenergan-10 mg and Injection Phenergan -2 ml (Manufactured by Akums Drugs and Pharmaceuticals Ltd., Ranipur, Haridwar, Uttarakhand, India) and similarly for Pheniramine maleate (PM) tablet Avil-25 mg and injection Avil-10ml (Manufactured by Sanofi India Ltd., Ankleshwar, District Bharuch, Gujarat, India) has been purchased from commercial sources in the local market. A solution of Pyridinium Fluoro Chromate (0.03 N): Solution of 0.03N PFC was prepared by dissolving 0.497 gm of PFC in 150 ml glacial acetic acid (MERCK) and made up the volume with distilled water in 250 ml volumetric flask. The prepared solution was standardized iodometrically with standard Sodium thiosulphate solution using starch as an indicator. A solution of Sodium Thio Sulphate (0.01 N): A 0.01 N stock solution of sodium thiosulphate (0.01N) was prepared by dissolving 3.16 gm of sodium thiosulfate (Anhydrous) AR grade of HI MEDIA in distilled water of 1000 ml volumetric flask and made up to the mark with distilled water. The stock solution prepared in this way was standardized by using 0.01 N potassium dichromate (Moly Chem) solution iodometrically by using starch as an indicator. Solution of Potassium Dichromate (0.01 N): A 0.01 N stock solution of K2Cr2O7 was prepared by dissolving 0.245 gm of K2Cr2O7 (A.R Grade of Moly Chem) in distilled water of 500 ml volumetric flask. Potassium Iodide (10%): The Potassium iodide used for an experiment is of AR grade of RANKEM. 10% w/v aqueous solution was prepared in distilled water. Starch Solution (1%): A solution of 1% of W/V aqueous solution of starch (LOBA Chemie) was prepared in boiling distilled water. The paste formed this way was filtered and kept to cool for some minutes. Always fresh starch solution has been prepared for accurate results. Preparation of Pure Solution of Promethazine Hydrochloride (PMH) and Pheniramine Maleate (PM): Taken 100 mg pure compound of Promethazine hydrochloride (PMH) and Pheniramine maleate (PM) in two 100 ml volumetric flask separately, supplied on request, as gift sample by Akums Drugs and Pharmaceuticals Ltd, 304, Mohan Place, L.S.C., Block-C, Saraswati Vihar, New Delhi, India and Sanofi India Ltd, Ankleshwar, District Bharuch, Gujarat, India respectively. Solutions of both the flask were first dissolved in minimum quantity of distilled water. Both solutions of the volumetric flask have been shaken thoroughly, for twenty minutes so that compound may dissolve adequately. After getting a homogenous solution, the flask was made up to the mark with distilled water. For Phenergan -10 mg Tablet Containing Promethazine Hydrochloride (PMH) and Avil-25 mg Tablet Containing Pheniramine Maleate (PM): The 20 Phenergan- 10 mg tablets manufactured by Akums Drugs and Pharma-ceuticals Ltd., Ranipur, Haridwar, Uttarakhand, India and 20 tablets of Avil- 25 mg manufactured by Sanofi India Ltd, Ankleshwar, District Bharuch, Gujarat, India has been obtained from local commercial source, and both types of these tablets were ground into an excellent power separately. The powder equivalent to 100 mg of sample, was taken, in two 100 ml calibrated flask individually and dissolved in the same process as described above for the pure solution of PMH and PM. For Phenergan -2 ml Injection Containing Promethazine Hydrochloride (PMH) and an Avil-10 ml Injection Containing Pheniramine Maleate (PM): The contents of 20 ampoules Phenergan- 2 ml injection manufactured by Akums Drugs and Pharmaceuticals Ltd., Ranipur, Haridwar, Uttarakhand, India and similarly 20 ampoules Avil-10 ml injection manufactured by Sanofi India Ltd., Ankleshwar, District Bharuch, Gujarat, India were mixed properly and volume of these injections equivalent to 100 mg of the pure sample were taken separately and diluted up to the mark with distilled water in 100 ml calibrated flask, so that concentration of flask become 1 mg/ml. Method: Aliquots of drug samples containing 1 to 5 mg were taken in 100 ml stoppered conical flask (Iodine flask) and to this 5 ml of 0.03 N PFC reagent (Prepared in 60% acetic acid) was added to it. Again 10 ml of 5N sulphuric acid was added to the same reaction mixture of said flask. Thereafter reaction mixture was shaken thoroughly, to mix the contents of flask properly and kept to stand the whole solution of flask for required reaction time at room temperature (25-30 ºC) so that reaction between the contents of flask may be completed. After the completion of reaction 5 ml of 10% KI was added to the same reaction mixture, and the whole reaction mixture was shaken again and adequately allowed to stand for one minute. The unconsumed PFC was determined by iodometric titration by using starch as an indicator. Similarly, blank experiment was also performed using all the regents under the identical condition, except the drug sample. The amount of PFC consumed for the given drug sample was calculated by the difference in the titre values of sodium thiosulphate solution for a blank and actual experiment. To validate the adopted method, the recovery of the drug sample was calculated with the amount of PFC consumed for the sample. Later on, for accuracy and precision percentage error, the coefficient of variation and standard deviation of each drug sample were calculated. Finally, Standard Drug Addition method was also performed to evaluate the authenticity of the method. Where, Mw = Molecular weight of the sample, N = Normality of sodium thiosulphate solution. VB = Volume of sodium thiosulphate solution for blank. Vs. = Volume of sodium thiosulphate solution for sample, n = Stoichiometry of the reaction. By using the above mentioned method and expression the determination of Promethazine hydrochloride (PMH) and Pheniramine maleate (PM) has been carried out for 1-5 mg of a pure sample of PMH and PM. Similarly, for their pharmaceutical formulations (i.e., PHENERGAN- 10 mg and injection PHENERGAN- 2 ml and AVIL- 25 mg and AVIL- 10 ml) but convenience, the results as recorded in Table 1 has been considered only for 1, 3 and 5 mg of sample size. Where, N= ∑N = Total number of observations, P = Amount of drug added, Q = Amount of drug obtained by calculation, ∑P = ∑NP, ∑Q = ∑NQ, ∑PQ = ∑(NP) (Q), ∑P2 = ∑(NP) (P). RESULTS AND DISCUSSION: The results as recorded in Table 1 were carried out for PMH and PM aliquots of 1 ml to 5ml, but for convenience only 1, 3 and 5 mg has been shown. All sample sizes of both the drugs, i.e. PMH and PM always established a stoichiometric ratio for PMH: PFC and PM: PFC to be 1:1. This stoichiometric ratio is similar for both, i.e. for a pure sample of drug and for pharmaceutical formulations. This stoichiometric ratio 1:1 remains constant for even under varying reaction conditions, i.e. in varying reaction time, the concentration of the reagent, reaction temperature, and reaction medium, etc. Possible Course of Reaction: The drug Promethazine hydrochloride (PMH) belongs to Phenothiazine class, and its structure consists of the tricyclic ring system, in which two aromatic rings are linked by branched alkyl chain, a sulphur atom and terminal nitrogen atom Fig. 1. In another word we can say that the sulphur atom present between two aryl rings is the bridging entity, between the two aryl rings. The nitrogen atom present in the drug PMH is not basic. Hence, the oxidizing reagent PFC oxidizes the sulfur atom present between the two aryl ring to the corresponding sulphone but not nitrogen atom as they are not basic. Thus sulfur atom of the drug PMH, during oxidation reaction with oxidizing reagent PFC consumes one equivalent of PFC per mole and forms sulphoxide and due to this PMH with PFC establishes the stoichiometric ratio of 1:1. This reaction between drug PMH and PFC takes ten minutes for its completion. By stoichiometric ratio established between PFC and pharmaceutical drug Promethazine hydrochloride (PMH) and after the survey of different literature, the scheme for the proposed reaction is expressed in Fig. 3. The other drug Pheniramine maleate (PM) is the maleate salt of pheniramine. This pheniramine consists of two aryl rings in which one is phenyl group and the other one is 2-pyridyl rings, and these both aryl rings are linked by terminal dimethylamino moiety. As mentioned above, since Pheniramine maleate is the maleate salt of pheniramine, hence this pheniramine always exits with the maleic molecule. The oxidizing reagent PFC does not react with the pheniramine molecule, whereas it reacts with the hydroxyl (- OH) group present in the carboxylic group of a maleic molecule. Here oxidizing reagent PFC reacts with one hydroxyl (-OH) group of one carboxylic (-COOH) group out of two carboxylic groups present in the maleic acid molecule. CONCLUSION: It has been observed that reagent Pyridinium fluoro chromate (PFC) is a versatile oxidizing reagent and is effectively capable in oxidizing above antihistamine drugs. The oxidizing reagent Pyridinium fluoro chromate establishes 1:1 stoichiometric ratio with both drugs, i.e. with Promethazine hydrochloride (PMH) and Pheniramine maleate (PM). The adopted technique, i.e. visual volumetric technique is simple, rapid, accurate and precise and most economical analytical method was developed and validated. The selected method is suitable for routine analysis of both the drugs, i.e. Promethazine hydrochloride (PMH) and Pheniramine maleate (PM) in bulk drugs as well as formulations for pharmaceutical laboratories, as this method does not have any sophisticated instruments and is easily procurable at meager expenses. Thus, due to accuracy, reproducibility, simplicity, and cost-effectiveness of this method, suggest its application in the quality control laboratories where the modern and expensive instruments are not available. ACKNOWLEDGEMENT: Authors are thankful to Akums Drugs and Pharmaceuticals Ltd., 304, Mohan Place, L.S.C., Block-C, Saraswati Vihar, New Delhi, India, and Sanofi India Ltd., Ankleshwar, District- Bharuch, Gujarat, India for gifting pure Promethazine hydrochloride and Pheniramine Maleate (PM) respectively for this study. Authors are also thankful to the authorities of the Pt. Sambhu Nath Shukla Govt. P. G. (Auto) College, Shahdol (Madhya Pradesh), India mainly to the Department of Chemistry, for the permission and facilities. Sweetman SC: Martindale- The Complete Drug Reference, Pharmaceutical Press, London. Thirty-third ed; 2002: 414. The Merck: The Merck Index, an Encyclopaedia of Chemicals, Drug, and Biologicals. Merck and CO. INC; Whitehouse Station NJ 2001. Richard L: `Coffee: The demon drink?. (24 September 2005): Retrieved 2014-05-01. Definition and classification of Drug or Pharmaceutical Regulatory aspects of drug approval Accessed 30 December 2013. Shukla IC, Kumar V and Yadav OP: Assay of some antibiotic drugs in pure form and in their pharmaceutical preparation by using Cu III reagent. Journal of the Indian Chemical Society 2015; 92: 1443-1447. Shukla IC and Kumar V: New oxidative determination of some new Antihypertensive Drugs in pure form and in their pharmaceutical preparation with Cu (III) reagent. IOSR Journal. Dec 2015; 8(12): 01-05. Shukla IC, Kumar V and Teena: Determination of Some New Antihistamine Drugs in Pure Form and their Pharmaceutical Preparations by Using Cu (III) Reagent. International Journal of Scientific and Technical Advancements 2017; 3(1): 15-19. Chauhan RPS, Suraiya A and Singh P: Analytical determination of antihistamine drugs pure and its pharmaceutical preparation with NBSA reagent. IOSR Journal of Applied Chemistry (IOSR-JAC) 2013; 6(1): 34-36. Shukla IC, Kumar S and Yadav OP: A new titrimetric method for the assay of some antineoplastic agents. Int J Pharm and Bio Sci 2013; 4(3): 55-61. Pandey AK and Dwivedi D: Determination of Cyproheptadine hydrochloride drugs in pure form and in their pharmaceutical preparations with Pyridinium fluoro chromate (PFC) reagent. IOSR Journal of Applied Chemistry (IOSR-JAC) 2017; 10(7): 01-04. Pandey AK and Dwivedi D: A validated the titrimetric method for the quantitative estimation of Fexofenadine hydrochloride in pure and in their pharmaceutical preparations with Pyridinium fluoro chromate (PFC) reagent. International Journal of Chem Tech Res 2017; 10(10): 236-240. Basavaiah K and Rajendraprasad N: Spectrophotometric assay of Pioglitazone HCl using Permanganate in acidic and basic media. Current Chemistry Letters 2018; 7: 45-56. Qarah NAS and Basavaiah K: Titrimetric and spectrophotometric assay of Diethylcarbamazine Citrate in Pharmaceuticals using Permanganate as the oxidant. Research and Reviews: A Journal of Pharmaceutical Science 2016; 7(3): 1-11. Swamy N, Prashanth KN and Basavaiah K: Analytical utility of Potassium permanganate for the assay of albendazole in bulk drug and pharmaceuticals. Journal of reports in Pharmaceutical Sciences 2015; 4(1): 12-23. Sameer AM, Devi OZ, Basavaiah K and Vinay KB: Use of perchloric acid for the development and validation of a non-aqueous titrimetric assay of lansoprazole in pharmaceutical capsules. Journal of chemical and pharmaceutical research 2015; 7(2): 685-691. Swamy N, Basavaiah K and Vinay KB: Titrimetric assay of isoniazid with Perchloric acid in non-aqueous media. Journal of analytical chemistry 2015; 70(6): 696-699. Qarah NAS and Basavaiah K: Determination of ethionamide in pharmaceutical by spectrophotometry through oxidation reaction with Potassium iodate. Thai Journal of Pharmaceutical Sciences 2017; 41(3): 150-156. Basavaiah K, Nagib Qarah AS and Sameer AM: Application of Cerium (IV) as an oxidimetric agent for the determination of ethionamide in pharmaceutical formulations. Journals of Pharmaceutics 2016; 1-9. Gowda JI, Nayak SS, Langote SR, Joshi PS and Nandibewoor ST: Spectroscopic and mechanistic investigation into oxidation by aspartame by diperiodatocuprate (III) in aqueous alkaline medium 2015; 1: 1-14. 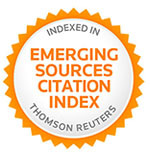 DOI: http://dx.doi.org/10.1080/23312009.2015. 1015909. Qader HA and Fakhre N: Spectrophotometric determination of promethazine hydrochloride in pure and pharmaceutical Dosage forms, Conference: 6th International Conference and workshop on Basic and Applied Sciences (ICOWBAS 2017), At Erbil, Iraq. [accessed July 15, 2017]. Dwi N: Development and validation of UV spectrophotometric method for quantitative estimation of Promethazine HCl in phosphate buffer saline pH 7.4.International Current Pharmaceutical Journal 2013; 2: 141-142. Balammal G, Midhuna Sagari NS, Manoj Kumar BS and Reddy JP: Spectrophotometric estimation of promethazine hydrochloride in bulk and pharmaceutical formulations. 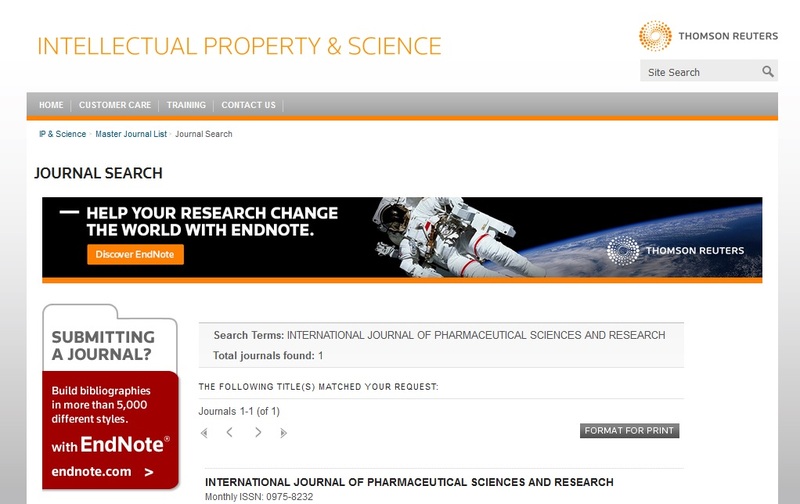 International Journal of Pharmaceutical Research and Analysis 2012; 2: 6-8. Wachira M: Development and validation of a liquid chromatographic method for the simultaneous determination of diphenhydramine, promethazine, chlorpheniramine and ephedrine in cold-cough syrup. Board of Postgraduate Studies 2013; 1: 1-2. Toochinda T, Shapiro B, Kral A, Lynch K UCSF and San-Francisco CA: Detecting Promethazine use in the Methadone Maintenance Population by Liquid Chromatography-Tandem Mass Spectrometry. Clinical Chemistry 2011; 57(10): A57-A58. Basavaiah K, Raghu MS, Prashanth KN and Vinay KB: Acid-Base titrimetric assay of pheniramine maleate in pharmaceuticals in the hydro-alcoholic De Pharmacia 2012; 4(5): 1523-1529. Basavaiah K, Raghu M, Abdulrahaman, Sameer, Prashanth K and Vinay K: Sensitive and selective spectrophotometric methods for the determination of pheniramine maleate in bulk drug and in its formulations using sodium hypochlorite. Journal of Analytical Chemistry 2013; 68(11): 969-976. Huang T, Chen N, Wang D, Lai Y and Cao Z: A validated stability-indicating HPLC method for the simultaneous determination of Pheniramine maleate and naphazoline hydrochloride in pharmaceutical formulations. Chemistry Central Journal 2014; 8(1): 7. Subramaniyan SP and Das SK: Rapid identification and quantification of chlorpheniramine maleate or Pheniramine maleate in pharmaceutical preparations by thin layer chromatography- densitometry. J AOAC Int 2004; 87: 1319-1322. Pandey AK and Dwivedi D: Oxidative determination of some antihistamine drugs in pure form and their pharmaceutical preparations by using pyridinium fluoro chromate (PFC) reagent. Int J Pharm Sci & Res 2019; 10(4): 1787-94. doi: 10.13040/IJPSR.0975-8232.10(4).1787-94. Authors Address: Department of Chemistry, Pt. S.N.S. Govt P.G. (Auto) College, Shahdol, Madhya Pradesh, India.